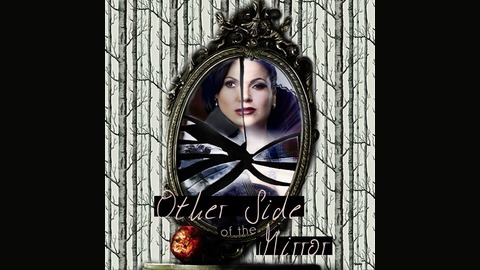 Other Side of the Mirror is an unofficial Once Upon a Time fan podcast, with an emphasis on Regina/Evil Queen. This is our mp3 download page, visit our main website at othersideofthemirror.com! We aren’t going to just summarize the show but we’re going to analyze and critique it. The show offers two types of episodes: Recaps, where we go through each episode, discussing any theories and thoughts we have about the plot and the characters, and Fan episodes, where we discuss various show topics, interview fans, chat about "ships" (ALL are welcome), and offer fan video and fanfic recommendations. We incorporate feedback throughout the podcast. If we really have strong thoughts about an episode, we'll record an instant reaction too! Language note: This is not a family friendly podcast. We use language you hear on the show and one "f" word when we read from a Once script. Share your feedback by visiting our website at http://othersideofthemirror.com calling our voicemail line at (970) 510-ONCE (6623) or by email to talk@othersideofthemirror.com. We’d love to hear your feedback, recommendations or topic ideas. This is our reaction to The Final Battle Parts 1 & 2, with your feedback. In this episode, we talk about how the final chapters of OUAT seasons 1 to 6 were completed. We discuss how OUAT's failure to kill their darlings sometimes hurts the show. We compliment the show for making all the characters heroes, but discuss whether it undermined the culmination of Emma Swan's story. The seemingly sudden decision to compare Emma Swan to Jesus. Alex follows through on her promise to rant about Gideon becoming a baby. We discuss ALL the ships, even Swan Fire. Bri disagrees with Alex about Swan Queen. We speculate (but not too much) about Season 7. A big thank you to all of our listeners for their thoughtful feedback and theories!